Blackberry Classic is an amazing blackberry smart phone with loads of sophisticated features. The Blackberry classic runs on blackberry 10.3.1 OS with a 16M color display. It's really a great gadget that is recommended for great communicators. Previously, I published a nice article that compares the specs between the blackberry classic, blackberry passport and Apple iPhone 6. And blackberry classic came out with an outstanding result. Today's stroll, I would brief you on the top 10 Blackberry Classic Keyboard Shortcuts You Should Know. 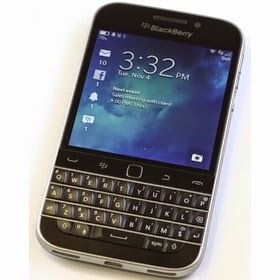 The Blackberry Classic comes with a Qwerty keyboard which is very much time-saving with load of shortcuts. Most of you would be familiar with the Qwerty keyboard of course. To make use of the shortcut keys, simply Press and hold the key to activate the already existing shortcut or you can assign a new shortcut. Below shows the top 10 shortcut Keys on Blackberry Classic. Below also shows some other bonus tips that you can use to remember the shortcut keys. - Within the Browser, hub and quite a number of other lists, you can simply press B hover to the Bottom and T hover to the Top. -Then, when in a text field, Like BBM, Emails or SMS, simply type “ mypin” and then hit the space bar to show or display your PIN number. -Similarly, you can also type “mynumber” to bring up your mobile number, “LT” to display the current time and then “LD” to display the current date. Hope the above shortcut keys mentioned would help.